Many different "transports" can be used for MIDI messages. The speed of the transport determines how much MIDI data can be carried, and how quickly it will be received. Using a 5-pin "DIN" connector, the MIDI DIN transport was developed back in 1983, so it is slow compared to common high-speed digital transports available today, like USB, FireWire, and Ethernet. But MIDI-DIN is almost always still used on a lot of MIDI-equipped devices because it adequately handles communication speed for one device. Also, if you want to connect one MIDI device to another (without a computer), MIDI cables are usually needed. Computers are most often equipped with USB and possibly FireWire connectors, and these are now the most common means of connecting MIDI devices to computers (using appropriate adapters). 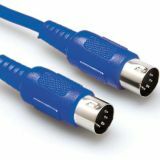 Adapters can be as simple as a short cable with USB or FireWire connectors on one end and MIDI DIN connectors on the other, or as complex as a 19 inch rack mountable processor with dozens of MIDI and Audio In and Out ports. The best part is that USB and FireWire are "plug-and-play" interfaces which means they generally configure themselves. 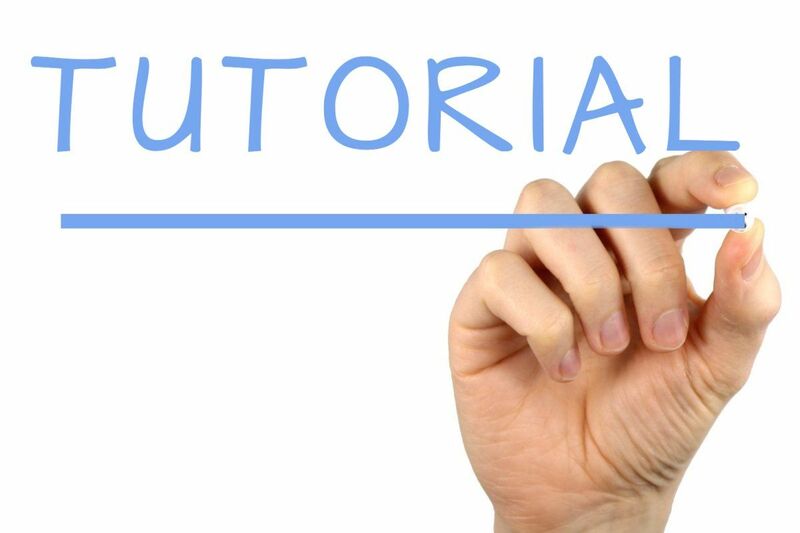 In most cases, all you need to do is plug in your USB or FireWire MIDI interface and boot up some MIDI software and off you go. With USB technology, devices must connect to a host (PC), so it is not possible to connect two USB MIDI devices to each other as it is with two MIDI DIN devices. (This could change sometime in the future with new versions of USB). USB-MIDI devices require a "driver" on the PC that knows how the device sends/receives MIDI messages over USB. Most devices follow a specification ("class") that was defined by the USB-IF; Windows and Mac PCs already come with "class compliant" drivers for devices that follow the USB-IF MIDI specification. For more details, see the article on USB in the Connection area of Resources. Most FireWire MIDI devices also connect directly to a PC with a host device driver, and the host handles communication between FireWire MIDI devices even if they use different drivers. But FireWire also supports "peer-to-peer" connections, so MMA (along with the 1394TA) produced a specification for transport of MIDI over IEEE-1394 (FireWire), which is available for download on this site (and also part of the IEC-61883 international standard). Many people have multiple MIDI instruments and one or more computers (or a desktop computer and a mobile device like an iPad), and would like to connect them all over a local area network (LAN). However, Ethernet and WiFi LANs do not always guarantee on-time delivery of MIDI messages, so MMA has been reluctant to endorse LANs as a recommended alternative to MIDI DIN, USB, and FireWire. That said, there are many LAN-based solutions for MIDI, the most popular being the RTP-MIDI specification which was developed at the IETF in cooperation with MMA Members and the MMA Technical Standards Board. In anticipation of increased use of LANs for audio/video in the future, MMA is also working on recommendations for transporting MIDI using new solutions like the IEEE-1722 Transport Protocol for Time-Sensitive Streams. Everything is becoming "mobile", and music creation is no exception. There are hundreds of music-making software applications for tablets and smart phones, many of which are equipped with Bluetooth "LE" (aka "Smart") wireless connections. Though Bluetooth technology is similar to WiFi in that it can not always guarantee timely delivery of MIDI data, in some devices Bluetooth takes less battery power to operate than WiFi, and in most cases will be less likely to encounter interference from other devices (because Bluetooth is designed for short distance communication). In 2015 the MMA adopted Bluetooth MIDI LE performance and developed a recommended practice (specification) for MIDI over Bluetooth. It used to be that connecting a MIDI device to a computer meant installing a "sound card" or "MIDI interface" in order to have a MIDI DIN connector on the computer. Because of space limitations, most such cards did not have actual 5-Pin DIN connectors on the card, but provided a special cable with 5-Pin DINs (In and Out) on one end (often connected to the "joystick port"). All such cards need "driver" software to make the MIDI connection work, but there are a few standards that companies follow, including "MPU-401" and "SoundBlaster". Even with those standards, however, making MIDI work could be a major task. Over a number of years the components of the typical sound card and MIDI interface (including the joystick port) became standard on the motherboard of most PCs, but this did not make configuring them any easier. Before USB and FireWire, personal computers were all generally equipped with serial, parallel, and (possibly) joystick ports, all of which have been used for connecting MIDI-equipped instruments (through special adapters). Though not always faster than MIDI-DIN, these connectors were already available on computers and that made them an economical alternative to add-on cards, with the added benefit that in general they already worked and did not need special configuration. The High Speed Serial Ports such as the "mini-DIN" ports available on early Macintosh computers support communication speeds roughly 20 times faster than MIDI-DIN, making it also possible for companies to develop and market "multiport" MIDI interfaces that allowed connecting multiple MIDI-DINs to one computer. In this manner it became possible to have the computer address many different MIDI-equipped devices at the same time. Recent multi-port MIDI interfaces use even faster USB or FireWire ports to connect to the computer.